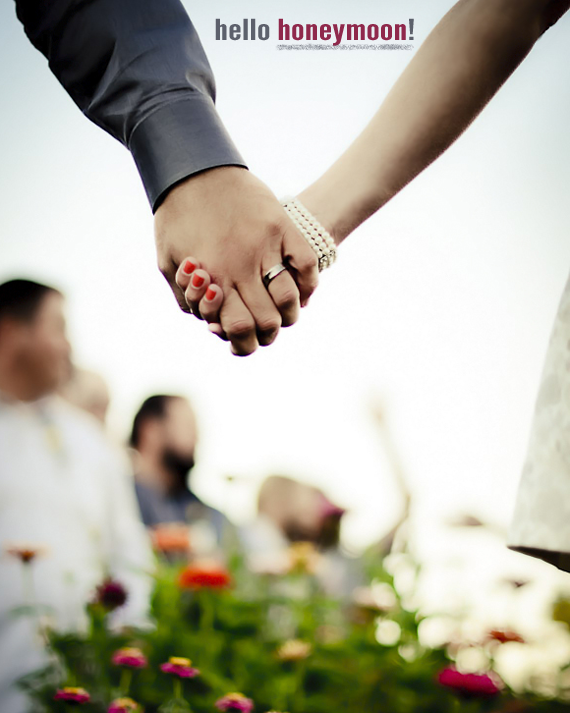 Bubby and Bean ::: Living Creatively: Worth the Wait >> Hello Honeymoon! Worth the Wait >> Hello Honeymoon! There have been an awful lot of travel themed posts around here lately, I know. But after what I consider to be a long travel hiatus (at least in comparison to how frequently I traveled for my career and pleasure in the past), I've found myself in the midst of several trips over a short period of time. I appreciate being at home these days more than I was ever able to before, but it feels good to be going on some adventures again. And this particular trip is one that I've been looking forward to more than any other. A year ago this coming Monday, Robbie and I got married. Although we kept things simple, we did plan to go on some sort of honeymoon. We both love travel, and we'd never been on a vacation alone together (and until today, this still holds true), so it was important to us. Doing it right after our wedding just wasn't possible for us, so we thought we'd try for December of last year. That became February, which turned into May. And then summer came and went, and our "honeymoon" was more likely going to happen as an anniversary trip, if at all. The real question though - regardless of what we called it - was "is it worth the hassle?" Those of you who are regular readers know that Robbie works as the Stage Manager of a band and is on the road almost half the year. I also own two businesses, and although I have a serious rock star of an employee (hi Kari! ), it's difficult to pick up and leave. I'm sure most of you can relate to the challenges of planning a vacation when there's, like, real life and stuff (especially those of you who have kids!). And of course, we all know how easy it is to convince ourselves that experiences centered on enjoying ourselves just aren't as important as bills and appointments and work and daily life. About a month ago we decided that taking some time away together to celebrate "us" was just as important (in fact, more important) than all of these other things. We were determined to find a way to make it happen. It didn't matter how short or simple the trip was. In fact, we both preferred to focus on something short and simple, where we didn't have to make a lot of crazy plans and could, instead, just "be." With all of traveling we've both done through our lives, we decided it would be exciting to find a place where neither of us had ever been. This was actually harder than it sounds, until I randomly heard one of my favorite Bob Dylan songs, a rare recording called "Santa-Fe," for the first time in years. We'd both been to New Mexico, but it had been a long time, and neither of us had ever spent time in Santa Fe, but had both always wanted to go. So the decision was made. Flights were booked. And I just know our little honeymoon will be worth the wait. It's Thursday evening as I write this post, and I'll be scheduling it to go live a few hours after we leave for the airport early Friday morning. So as you read this, we're either in the air or already on the ground in beautiful, magical New Mexico. We're going to explore, drive, hike, soak in hot springs, look at art, eat good food, take pictures, sleep in, and just hang out. Together. I honestly don't think I've ever been this excited about a trip. I fully intend on spending as little time online as possible, but I'm sure I'll be sharing some of our adventures along the way on Instagram (user name bubbyandbean) and Twitter. There will also be a couple of amazing guest bloggers helping out while I'm gone, and I'll be checking in here once (on our anniversary) too. I hope that you have a wonderful Friday and weekend. Make sure you find some time to just have fun. Santa Fe images via Tripadvisor and AOLTravel. Have sooooo much fun!!! Enjoy each other, I know you will!!! 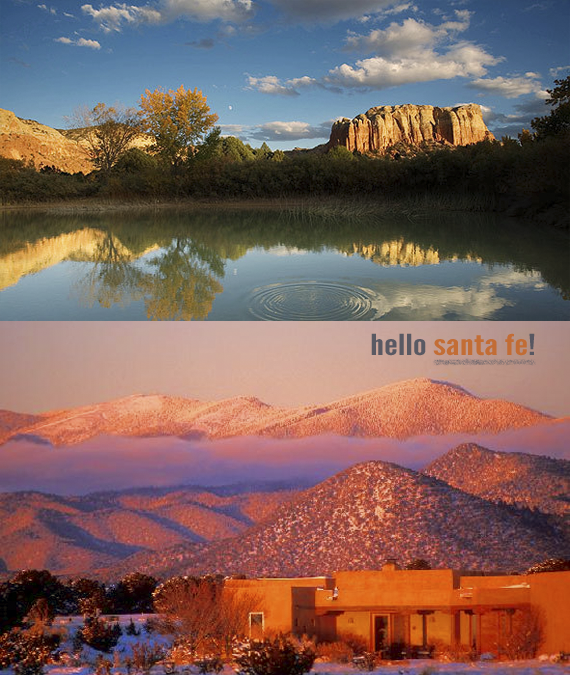 Can't wait to see your photographs of Santa Fe!! i hope you have the best time sweet friend. take this time and enjoy each other! Santa Fe sounds great. Enjoy your honeymoon. Wow, sounds amazing! Have tons of fun!! That's so nice! I'll tell you the best times I've had with my husband were ones that we were in a new town, just exploring. I love those so have fun you two and happy anniversary!